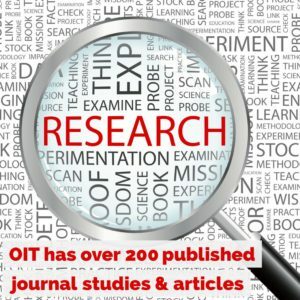 Welcome to our extensive listing of research and published OIT articles. There is a LOT of published information on OIT. While oral immunotherapy continues to be studied, many of the strongest and brightest allergists have been able to take the learning from the first decade of research and apply it NOW, safely, in a private practice office setting. Here’s the trick: OIT is accomplished 93% AT HOME whether done in a clinical trial or private practice. That’s typically 14 home doses for every medically supervised updose challenge. So dive in and start learning about OIT. Use the research and the many news media stories as your foundation, and see if there is a doctor you can call for a consult. If you want interaction and discussion, come join our OIT community to see thousands of patients–kids and adults–going through treatment. The good and the bad, it’s all out there to help YOU make the best decision you possibly can for your food allergic family member. It’s all provided here, FREE, by fellow food allergy parents to make it easy for any food allergic family to access all the OIT info in one place. Just starting? Begin with “What is OIT?” and our quick FAQ / Q&A page. Then go through the Top 10 OIT Myths, and glance through an OIT History. Then you’ll be ready to start with our “OIT STARTER SET” below. It’s a set of some interesting articles and news media stories about OIT. All the medical journal abstracts and summaries are at the bottom–over 200 of them related to OIT and desensitization!